For the first time ever this year, I was sick for Christmas. So sick, in fact, that I had to call off the celebration. Christmas is the time for sharing, but the fever/flu I had was something I’d rather keep to myself. It was a quiet Christmas, one I spent mostly in bed or on the couch. I don’t think I’ve ever watched the film A Christmas Story so many times before! This is a romance book rated “3” on the “heat index.” I won a copy on a blog contest and wanted to save the story to read around Christmastime. The tale follows Jessica and Johnny, a married couple perfectly in love. But Johnny leaves for an early-morning fishing trip on the Fourth of July and never makes it back. A terrible storm passed over the lake as Johnny was fishing, and everyone presumes him to be dead. Everyone, that is, except for Jessica. Sticking to her hope to the point that everyone else thinks she is insane, Jessica refuses to believe that Johnny is gone, and she holds out hope that she will return for the holidays. The plot has suspense built right in. As soon as Johnny disappears, the reader wishes for him to return. Flashbacks of Jessica’s first meeting with him allow the reader to feel how perfect their relationship is and increases the sense of urgency to get them back together. Happy flashbacks to their past relationship sprinkled throughout the story help to break up Jessica’s despair at not knowing what happened to Johnny or why he hasn’t made any attempt to contact her. As an author, I appreciated the way Murphy used different points of view to add information, increase dramatic irony, and build suspense. As the story unfolds, we are given more and more information to piece together the mystery. And as promised, the climax of the novel happens right during the holidays, making it an enjoyable read for this time of year. As I sat curled up in bed listening to my husband cooking in the kitchen, the book helped me to remember what’s really important in life: not having beautifully-wrapped gifts or a perfect Christmas dinner—rather, having those we love the most right by our side. Earlier this year, author Melinda Elmore’s husband unexpectedly passed away. 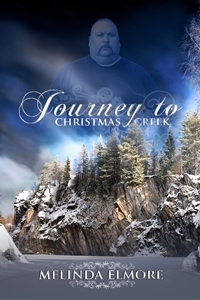 “Journey to Christmas Creek” is a story her husband used to tell their children, and Melinda wrote it down. DWB, Melinda’s publisher, decided to publish the story as a benefit to the Elmore family, helping them to cover final costs for their beloved. The short story is a fast but enjoyable read—it took me maybe thirty minutes to read it. The cover is wonderful, capturing the beauty of unadulterated nature while also paying tribute to Tommy Elmore. The story is a coming-of-age tale following Spotted Buffalo, an adolescent determined to help his tribe find a new home and prove his manhood. It is the 1800s, and Spotted Buffalo’s tribe is making the slow trek to search for a better place to live. Eager to find a new home while the rest of the tribe is resting, Spotted Buffalo trusts that the Great Spirit will help him find the legendary Christmas Creek–but his sister, Gentle Tears, tags along for the ride. On their journey, Spotted Buffalo breaks his leg, and his sister must face terrifying dangers on her way back to find help. This would be a great story to share with family during the holidays. It is a fast, enjoyable read that could easily become a Christmas tradition of its own. Both stories stress the importance of family, and during this last week of 2011, I hope that you get to spend lots of time with yours. It doesn’t matter how sick you may be or what circumstances you may confront: as long as you have a loving family, you just can’t cancel Christmas. Thank you so very much…It means so much to me that you took the time to read this book…It made my day….. Thank you, Melinda, for sharing your story! I’m glad you’re feeling better and thank you for mentioning my book. I’m so glad you enjoyed it! I did enjoy the book. Thanks for stopping by my blog, Lee Ann! So sorry you were ill on Christmas, Val. I think of Christmas as being something we can celebrate every day because it’s a celebration of ultimate love. God gave the world Himself in human form, Jesus Christ. Whether or not Dec. 25th is the actual day of Christ’s birth isn’t the issue, it’s merely the day we celebrate this unselfish Heavenly gift world wide. This is a gift that lasts year round, for eternity. I am very blessed to have Melinda Elmore as one of DWB’s authors, and to have you too! All of the authors at DWB have contributed more than just stories. They are all warm, caring, loving people who go out of their way to help one another and to be the kind of people I wish everyone in the world could be. What a wonderful planet it would be! Thank you, Val for the review of Melinda’s book. I hope you are feeling much better now. God bless you in 2012.